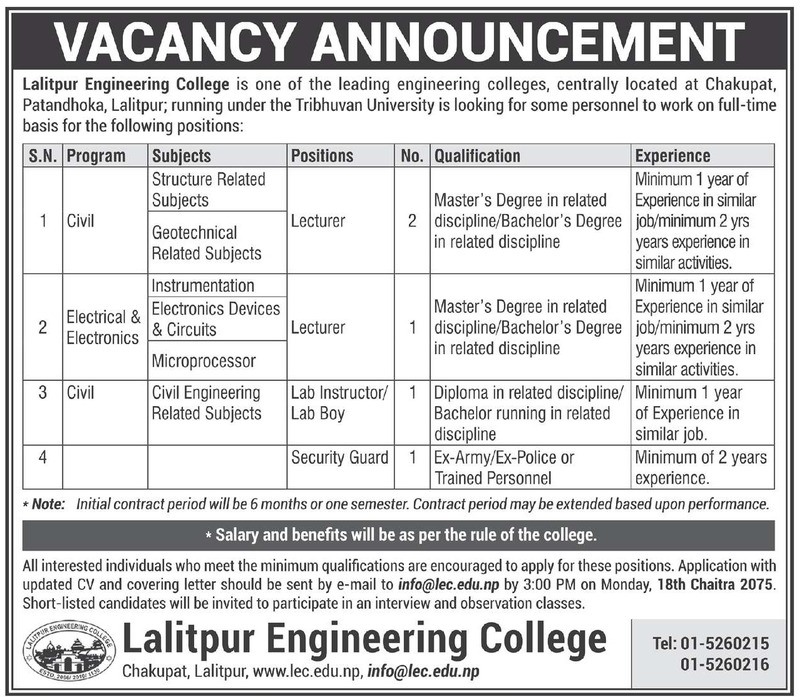 Job Vacancy at Lalitpur Engineering College: Lalitpur Engineering College, Patandhoka, Lalitpur is going to fulfill some Lecturer for Civil Programme, Lab Instructor/Lab Boy for Electrical and Electronics programme, and Security Guard on the contract basis. Interested candidates who meet minimum requirements can apply for these posts. Check the image below to find out full details about this vacancy notice.